From Both Hips is a dark and dangerous comedy set in Dublin’s suburbs. Through a series of often hilarious scenes, the events unfold to reveal a sinister search for justice and revenge by Paul, who has been accidentally shot by a member of the Gardaí. This search takes the characters through a series of misunderstandings, adulterous affairs and violent encounters. 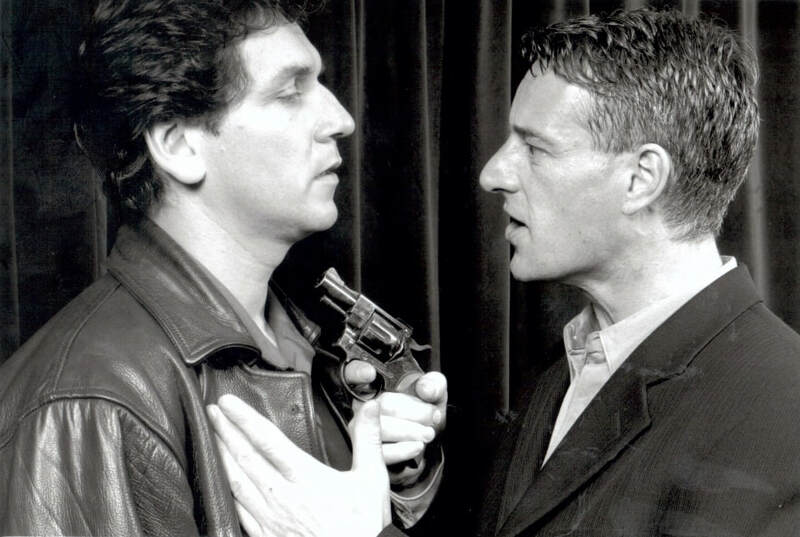 This was Mark’s first full-length, professionally produced play.